Sherlock Holmes was on the Titanic? Apparently so. How did he survive? For that you'll have to read this 1996 pastiche by William Seil. The world of Sherlock Holmes and the great Titanic are closely linked in this exciting Sherlock Holmes adventure by William Seil, a life-long devotee of the great detective. In 1912, Holmes and Watson board the Titanic en route to America, where Holmes is to carry out a top secret government mission. Disguised as a Naval Commodore, Holmes is given the added task of looking after Christine Norton – a young and attractive secret agent – as she transports highly important submarine plans to the US navy. 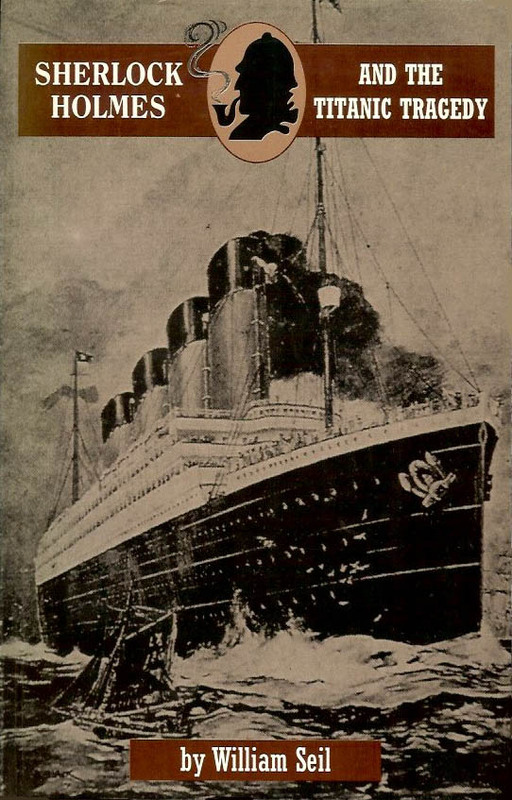 Soon after departure, tragedy strikes and the plans are stolen and concealed somewhere on board the huge luxury liner. The list of suspects is narrowed down to the most curious collection of passengers including the beautiful widow with an undisguised interest in Dr. Watson. Most notable of them all is Colonel James Moriarty, brother of the legendary late Professor Moriarty. As the investigation continues and the plot thickens the Titanic movies swiftly across the Atlantic towards New York. But out of the distance there is a place where the sky is dark and the water is bitterly cold. A gigantic iceberg waits, ready to take on and master mankind's latest challenge to the power of nature.